Floating World Gallery continues to host elaborate and elegant corporate events. The gallery’s versatility allows for as formal or casual as your needs require. 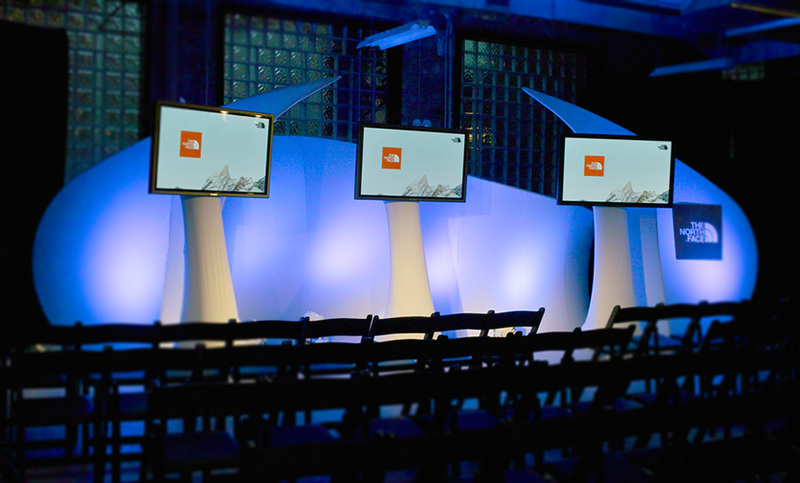 The raw urban chic back-drop will complement any event. BCBG/Max Azria hosted their fashion show introducing their fall line. The gallery was “filled with beauty”. THRILLIST/MasterCard hosted a series of dinners and exhibits that featured such notable Chicago chefs as Graham Elliot, “Top Chef” Sarah Gruenberg, and Giuseppe Tenturi of the famed Chicago restaurant BOKA. Arrangements Unlimited from King of Prussia, Pennsylvania, threw an elaborate “appreciation dinner” for 50 guests. The guests were all substantial donors to The Karen and Herbert Lotman Foundation, which does extensive research on Macular Degeneration. Hill + Knowlton Strategies hosted an event that introduced a new line of Campbell’s Soup. “MMM – MMM Good”. TOP-MAN did a week-long Pop-Up Shop featuring their new line. If I could give 20 stars, I would….Not only is the venue drop dead gorgeous, it’s incredibly affordable…. The best part was working with Allen. He is incredibly accommodating and knowledgeable.